At BGH Dental, our first priority is the overall health of our patients. 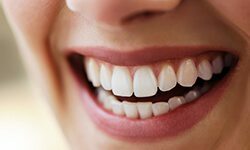 Research shows that oral health greatly impacts overall health, so maintaining teeth and gums that are well cared for is one of the best ways to promote general wellness. With regular daily brushing and flossing coupled with attending regular checkups and cleanings twice a year, patients can deter periodontal disease, gingivitis, and tooth decay. However, only 1% of the population avoids cavities throughout life. Odds are, you'll need a dental filling or crown at some point. When that time comes, our doctors will be here with gentle, minimally invasive, and comfortable treatment to return your mouth to full health. Dental checkups and teeth cleanings at BGH Dental are the most important part of every dental care plan in our Greenfield, MA dentistry practice. These twice a year visits to our office allow us to become partners in preserving your healthy, natural smile and diagnose and treat oral health conditions in the earliest stages. About three-quarters of American adults experience some type of periodontal disease, according to the American Academy of Periodontology. Also called gum disease, periodontal disease can cause symptoms ranging from bad breath to tooth loss. The condition is also associated with increased risk for developing diabetes complications, heart disease, respiratory problems, Alzheimer's disease, dementia, and pregnancy complications. At BGH Dental, we urge people with gum pain, sensitivity, or bleeding to schedule an examination as soon as possible. However, preventing gum disease is the best medicine! Daily dental care at home combined with periodic checkups and cleanings are the key to prevention. Our skilled dentists custom craft comfortable oral appliances to relieve jaw pain and improve mobility for patients suffering from TMJ dysfunction. Oral appliances are also used to prevent potential wear, chips, and cracks that occur due to bruxism, unconscious teeth grinding and clenching, that typically occurs during sleep. Do you or one of your family members regularly engage in athletic events where the smile may be damaged by contact with other players, hard surfaces, or sports equipment? If so, wearing a sportsguard is essential to protect smiles from potential damage. There are a variety of sportsguards available for purchase at your local sporting goods store. You typically need to adjust the size of these guards by trimming off excess materials or heating and molding the guard to your teeth. While these guards are more customizable than ever, they can still feel bulky or uncomfortable. Some athletes even claim these mouthguards make it difficult to breathe. At BGH Dental, we offer custom-made sportsguards that fit comfortably within your natural smile line. This dramatically increases the odds that athletes will wear their guards consistently. Many of our patients think they’re only susceptible to oral cancer, if they smoke or use tobacco. However, this is only one of the many high risk behaviors that are associated with oral cancer, and as much as 30% of those diagnosed do not engage in any of these activities. Research conducted by the Oral Cancer Foundation has indicated the key to reducing annual deaths associated with oral cancer is to diagnose and begin treatment in earlier stages. That’s why we’ve made screening for oral cancer an integral part of every dental checkup in our Greenfield, MA dental office. The screening process is fast and completely painless. We simply examine your soft tissue for discoloration, lumps, or bumps. If we notice any areas of concern, we can then perform testing to ensure you’re not suffering from oral cancer. If you’re experiencing a dental emergency, don’t hesitate to contact the BGH Dental team. We are happy to assist our patients of record with emergency dentistry appointments, usually on the same day you call us. We are always happy to make time to care for your smile whenever you need us most. If you’re not sure whether or not you need urgent treatment, give our team a call anyway. We’ll discuss your condition over the phone, offer first aid and pain management tips, and schedule an appointment.